"Enter Children’s Essay Contest Today – Prizes Totaling Over $10,000!" 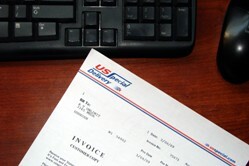 US Special Delivery is part of the Pitt Ohio Transportation Group which is ranked 15th on the top 25 list. We are offering 2-Day Service between WI/Twin Cities and PA, WV, MD, NJ, DE and VA! Check out our core service area map – we are including the Mid-Atlantic Region. 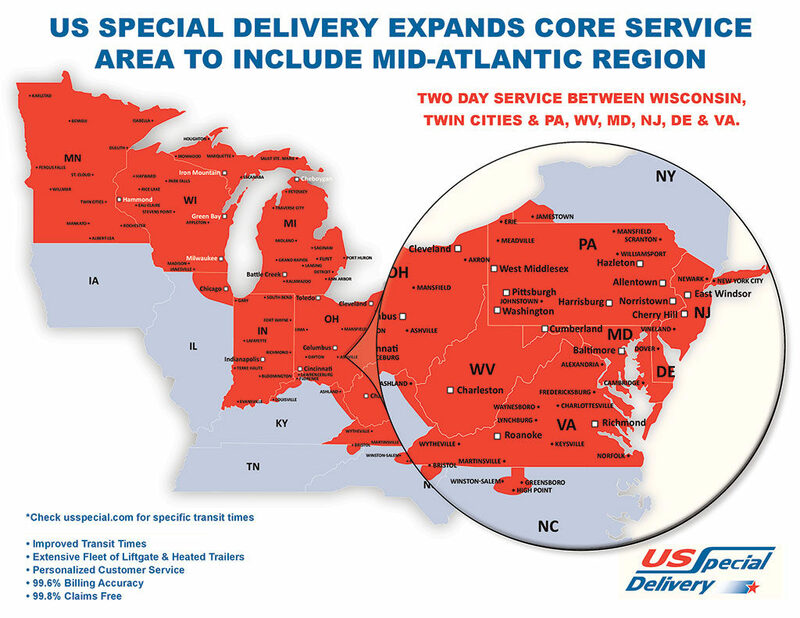 We still have the same personalized service but are now offering two-day transits between Wisconsin, Twin Cities and PA, WV, MD, NJ, DE and VA.
We at US Special Delivery are committed to customer satisfaction. We are continually upgrading our web site to provide the greatest amount of automated, real time, customer interaction possible. Our goal is to provide you, the customer, with the tools necessary to accurately retrieve any and all information regarding your shipment. View our LTL service area! Read Trucking News from around the web!